hi guys!!! soooo with the holidays coming in hot and chocolate and candy goodness in hands reach nearly everywhere you go, now is the perfect time to start making new years resolutions to becoming healthier and happier! unless you're a hundred percent happy with your bod -- then hats off to ya! haha -- but i know i am feeling more motivated and driven to get comfortable in my own skin for 2016 then ever before! 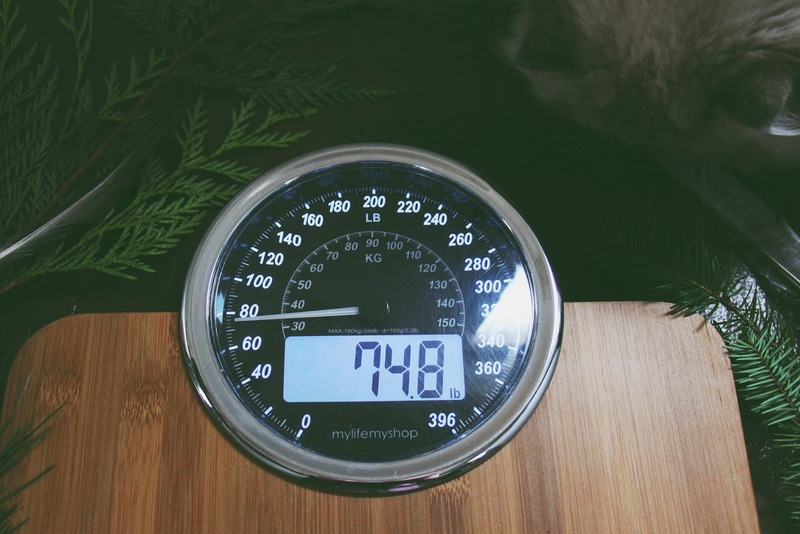 i haven't had a scale since i moved out of my parents house mostly because i hate the way they look -- most the time tacky right? and i have felt like i could look in the mirror and either feel hot or not. haha, but then i found vanity planets balance 2 digital body scale and basically it is magic. it has a sleek simple design with a bamboo surface, a round back-lit display and analog numbers && a 24 hour weigh in reminder function that helps keep you on track for any fitness goals. basically da bomb.com and who likes to count those stupid little ticks on the good old fashion scales anyway! i've got a coupon code for you guys 'moonchild' to apply to your purchase at checkout to get 60% off your purchase! that brings the scale from $95 to $38! which is awesome. get your own balance 2 digital body scale here! p.s. twiggy was attacking the branches the whole time and was very interested in the scale. so that must mean something! This scale is gorgeous!! Holy cow!